welcome to Day 8 of the 12 Days of Christmas Series! I hope you're ready for a laugh because I have funny cards as a focus today. 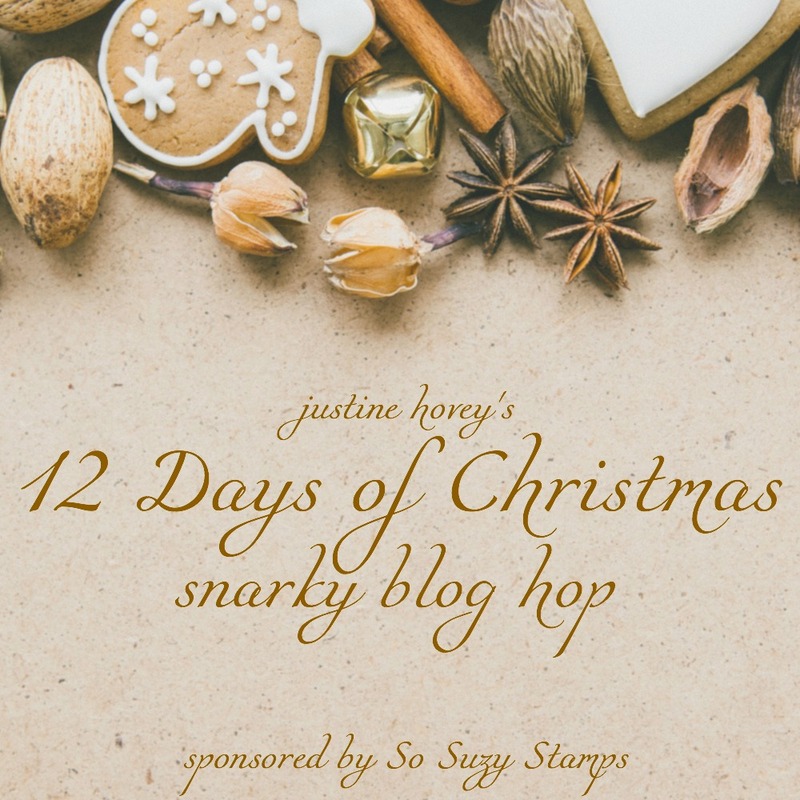 I invited my friends from the So Suzy Stamps Design Team to participate in a snarky blog hop! So I have the usual video tutorial for you today, a giveaway and I have links below to the other ladies and you can check out their blogs for some inspiration as well! I have the coolest technique to show off! The mirror image stamping technique - it's so much easier to show you than try to explain! I love mirror image stamping. It just gets you so much more when using your critter or image stamps. 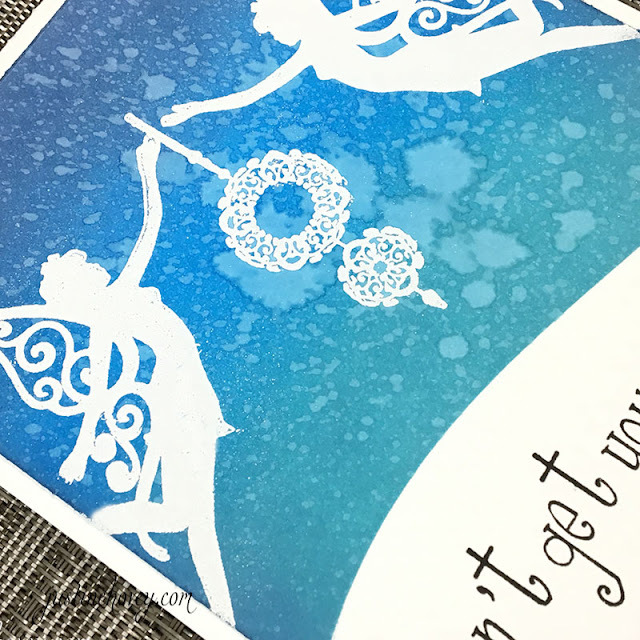 There are so many possibilities - from stamping them to embossing like I did on this card. 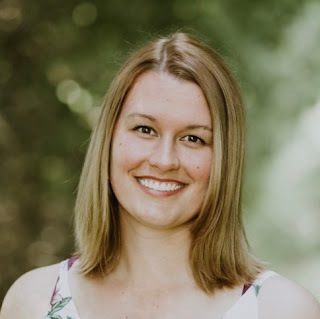 Justine - you are here! I love this card. Watching the mirror stamping was so informative. I can't wait to try. Love the technique. Card turned out so pretty! Learned something new today, thanks for sharing. Will be purchasing the mirror image rubber so I can try this out. snarky, but elegant!I love it... beautiful blending too! Beautiful! 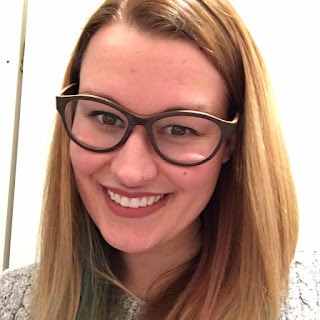 I've been meaning to try the mirror image technique, too! OMG Justine What a Gorgeous, GORGEOUS card!! You sure did one Super Outstanding Creative job!! Thanks for sharing all of your Incredible Techniques. They sure all came together for one Magnificent Card. Thanks too for the chance for a most generous giveaway!! YOU so ROCK!! to try this technique again. Love this technique! I have tried it to. Whst a great card! Thank u for sharing . Very nice. This technique looks fun. Mirror imaging? That’s really cool. I can’t wait to try that. Such a great technique, thanks for walking us through it. 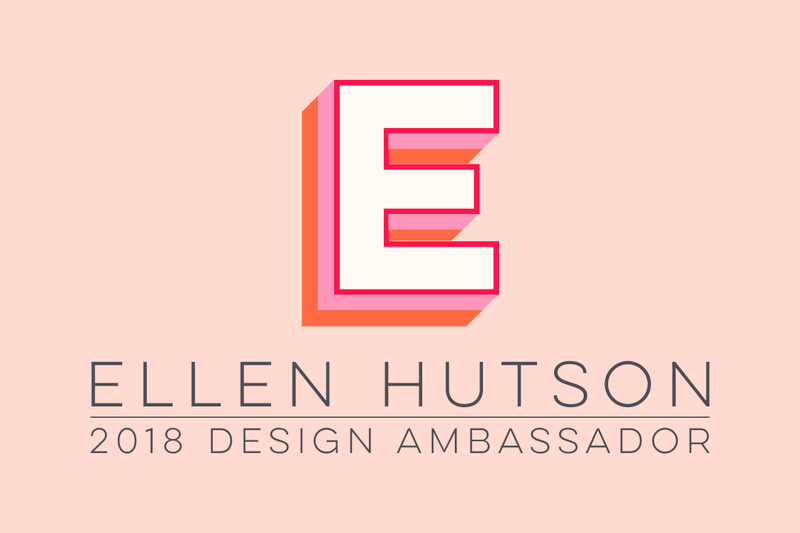 I am excited to try it and have a whole new batch of ideas brewing. Beautiful card and a great technique! I love the color blending with the water droplets. I have to get a mirror image block. That stamp would open up a whole new avenue to use all my other stamps! I can't figure out how to leave comments on the YouTube videos. Great job Justine! Beautiful card! I'll have to give this technique a try! Love the sentiment. So fun! Loved seeing how to mirror stamp and your card us lovely! Thanks. I love this technique and the sentiment is hilarious! I love seeing the mirror image, not many people share this ever. Nice work! Beautiful card. Thanks for sharing your mirror image technique. Wow an amazing technique and beautiful card. Hilarious sentiment. I can't wait to try this! The sentiment is a real chuckle, too. Great video Justine. A funny and beautiful card! 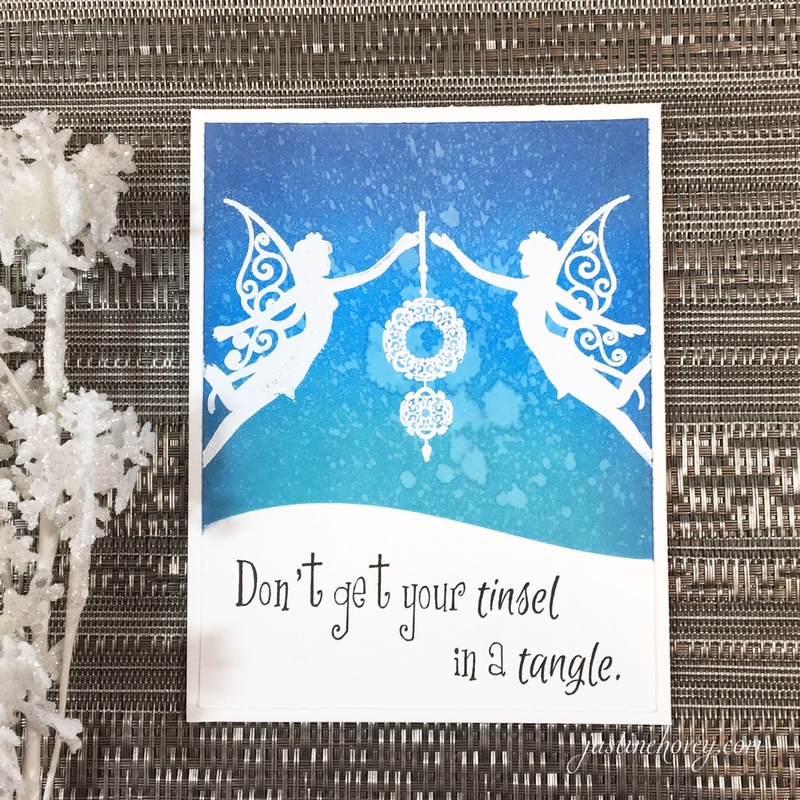 Thanks for sharing the mirror image stamping technique. A wonderful technique to create mirrored images for projects! Need to find and buy a blank rubber stamp so I can do this technique! Awesome card, Justine! snark is my secret language!! luv this! Thanks for the tips on mirror image stamping! Pretty card! loving this technique! it's not seen enough! Some year I will attempt a mirror image card.. Great card! Cannot wait to try this process. This adds so much versatility to my stamps. Thanks! Love this!!! Thanks for the tips! Darling card...I actually say this on a regular basis. Had no idea there was a stamp. I do now so I'm off to shop. LOVE this gorgeous card and your sentiment is fabulous! Thanks for another great video tutorial, Justine! Thank you for introducing me to mirror stamping! I loved the way your card went together so easily. It is beautiful! This is one hilarious sentiment and a cool water drop background! I love that sentiment - my friends would love that on a card! Great card and lovely stamps, the greeting is perfect lol. TFS! That's a great card ! I love that technique ! I love this technique so awesome! Mirror image...yet to try that..good demo, thanks!!! Never tried mirror imaging.... gonna try now! Beautiful card and funny. I haven't had much luck with the mirror image stamping but I am going to give it another try. Thanks for sharing with us and giving me the inspiration I need to try it again. Love the blending & the mirror stamping technique. I so need to try this! Love your card and the technique! I need to use my mirror stamp more often!!!! Love this technique and definitely need to order that mirror image pad!! Love this technique! Thanks to you I discovered it last year and I adore my Mirror Image Rubber! This is one of the tool that I use the most! You have inspired me to try this technique. Your results are terrific. That card is so pretty. Love the technique. Pretty card and awesome technique. I need that mirror stamp!! Beautiful card. I especially love the blues that you used for your background. I was wondering how to mirror image and now I can try this!! Can't wait to try this out and I love your card. I have that fairy stamp and never thought about using it for a holiday card! Wow. I love this technique. Another way to use my fairy stamps...holiday! Beautiful card. What a cute way to use the mirror image stamping technique! I'm going to give it a try! So fun!! I love that it's a "snarky" card, too. Love those snarky sentiments. So fun! Love the seniment. It makes me giggle. This is such a helpful technique! I have never tried mirror stamping. But, I love the results. Beautiful card Justine! I think this card is just stunning. I've heard of the mirror technique; might have to give in & buy the stamp to try this. Can't wait to try mirror stamping. Gorgeous card! Off to hop. A great little hop and the humour is right up my alley. TFS and I cannot believe tomorrow is day 9 already, WOW! This is a beautiful card. I really like the fairies and the mirror technique! I LOVE, LOVE, LOVE the reversible stamp. It could be helpful for making spinning character cards.Thaks Justine and So Suzy Stamps. I had forgotten about the mirror image stamp. Need to give it a try. Thanks forosharing the video. Love how the background and the whole card turned out. Will be trying this mirror image technique. Thank you for this great event and hop. Love the background and the color. Beautiful card! Hi Justine, thanks for showing us this cool technique! Beautiful card as well, love the angels! Lovely card, Justine! Thanks for making the mirror image technique look so easy to do! I'll be trying it soon. I have that mirror image stamp and watching this video encourages me to use it! Thank you! What a fun card! I need a mirror stamping rubber stamp. I love this blue combination ❤ now on to hopping!! Love these colors and the technique! Definitely want to try this technique thanks for sharing. Pretty card. I'll have to get the stamp to try this awesome technique. I haven't ever tried,asking a mirror image of a stamp but think you've showed me exactly how I should try to do it. Thank you! Love your card. I need to do the mirror stamping. This is a very cute card!! I really like the mirror image stamping technique. It's like I can never get enough tutorials of it. I'm still trying to understand!!! Thank you for sharing!! Great card!!! Love mirror image stamping, but mine never turns out as good as yours did. Maybe I need the rubber mirror image stamp. Thanks so much for sharing another fabulous card!!! You have given me so much inspiration. Big Hugs!! I love the mirror image fairies. They really pop on the rich blue background! I've been on a Fairy trend lately, loved this Fairy. I've been looking for this style of Fairy, so thanks! Love the mirror image technique. Beautiful card, thank you for sharing. I have seen this technique but haven't tried it yet. I know I would have smeared the daylights out of the versamark if I had attempted to stamp all three images before embossing! Thanks for reminding me there are so many more things I must try! Such a great technique, thanks for the video. Love your card. Yep, time to pull out my mirror image stamp again. Love it, Justine! I love this technique! There are so many ways you could use this. I really love the design of this card! oh man.. Love your mirror stamp. I just bought one but it is much smaller. It is also clear not rubber.. but I think a larger one would be my preferred. Thanks for showing how to do this. It is a different technique than I had seen. I dont know how you got the girls in just the right place so as to place an item in between them.. It all worked out perfectly! Lovely card. Thank you for sharing, I love watching your amazing talent. Can't wait to put some of my stamps to use this way!! Love the cute sentiment! How easy to do the mirror stamping. Thanks for the great tips! I love that sentiment! Haha! I love your card it's just beautiful! And what a fabulous technique. Thank you for this great video! You make it look so simple and the card is absolutely lovely!!! Like the sentiment too! So pretty. Love the mirror image stamping technique. Great card! Love that sentiment! I have a mirror stamp somewhere in my stash! Beautiful Christmas card, love the snarky sentiment! Great technique, thanks for the video tutorial. I love your card. I need to try that technique. You make it look easy. Beautìful! Ĺove the background and that sentiment is the best!! I'm going to have to get that mirror stamp pad and give this technique a try. Tfs! I really like this technique! Thanks for sharing. I have the "mirror image" blank stamp, and always forget about it and how to use it, so thanks for the tutorial. As for the sentiment-love it! I love that this card is both beautiful & silly! Thank you for sharing this technique. The card is very cute. Interesting technique - lots of possibilities. And, I love the blended night sky. I forget to take the darkest color along the edges, which really does make a difference! Beautiful card and technique Thanks! So fun! Love the snarky card and bonus when its Christmas! I have always loved So Suzy stamps! I was so glad to find them a few years ago! This card is so cute! 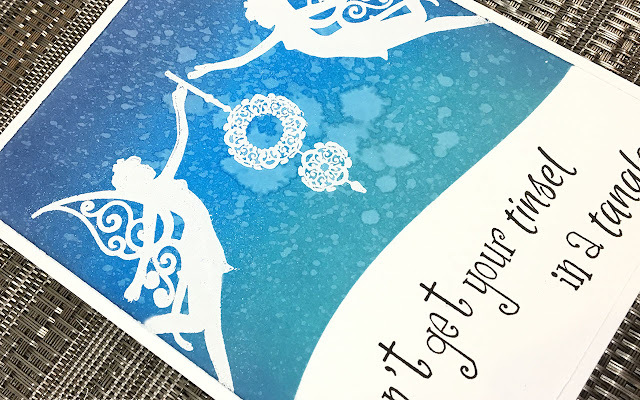 I love the sentiment you chose, and I think you make mirror image stamping look way easier than it was the few times I've tried it. Clearly, practice helps. Okay, okay, I've got my tinsel all straightened out. Now what? Lovely card. 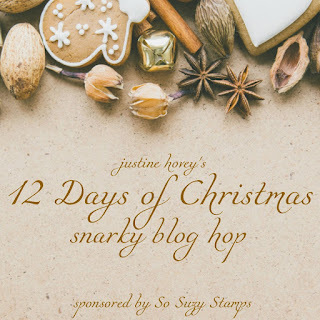 And I loved the blog hop. Thanks for the instruction regarding mirror images - - I've done it once, long ago - but it was more of a reflection, like in water. LOVELY card. I love that fairy stamp, and your technique is great! I can't wait to try this technique, great card. I love your simple card, and the sassy sentiment! I had forgotten about mirrored stamping, thanks for revisiting it!